Is it an objective statement or a subjective statement to claim that something is the ‘best’? At first glance, given the topic of pepperoni pizza, we might rush to conclude that this is a subjective evaluation totally determined by the speaker’s preferences. And we would be correct if we take him to mean that he likes pepperoni pizza the best out of all other pizzas. In other words, for him, this particular style of pizza is best. But in another sense, this could also be an objective statement, a matter that can be evaluated as TRUE or FALSE. 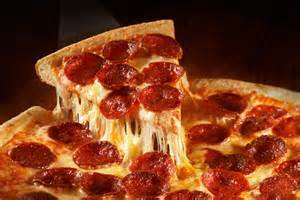 If I stand up at my middle school where I teach and proclaim that pepperoni pizza is the best, I am sure to meet with counter claims to the contrary. We have plain pizza lovers and sausage pizza lovers as well as those weird people who like anchovy pizzas! All kidding aside let me explain how in one sense it could be a true statement to affirm that pepperoni pizza is the best. The key is in defining our term, “best”. A Logical Joe or Jane knows enough to ask when encountering any claim that something is “best”, What do you mean by “best”? So to say something is best can be both an objective statement and a subjective statement of reality. It depends on where the criteria reside. Can they be supported by ‘reality’ or are they dependent on the subject making the statement? And just what is ‘reality’? In the beauty pageant world, reality is defined by what the judges agree to in advance. Auditions for roles in movies or plays: The casting director picks the ‘best’ actor for the part. Auditions for sports teams and orchestras: Who is ‘best’ at hitting home runs or holding down the 1st chair violin spot? So let us beware of the facile dismissal of the predicate ‘best’ as merely subjective. We are, after all, capable of holding two things in tension. Just because they might appear to be contradictory does not mean they are so. Language allows us to make distinctions and that is a hallmark of all Logical Janes and Joes. ← Does reason top all considerations?